Following my recent article on a recent paper that looked at the effect that a low carb diet had on slowing tumour growth (and if you haven’t read it, I suggest you do that before reading the rest of this…), I contacted one of the authors, Dr Gerald Krystal of the University of British Columbia with a list of questions. Dr Krystal has kindly responded with some more information, which I think is useful for those people considering starting a low carb diet in line with the results of his team’s work. PP: The low carb diet includes foods high in amylose. Doesn't this make it difficult to translate into a diet people can follow? Are there foods that are naturally high in amylose? GK: There are many foods that are naturally high in amylose. For example, all legumes (beans, lentils and peas), basmati rice, new potatoes, bananas, whole grains, sweet potatoes, radishes and parsnips. Try and avoid regular "old" potatoes, white rice and white bread (whole wheat bread is not much better….bread with whole grains is the best when it comes to breads but I try and avoid all breads. If you can't resist, sourdough is not bad because of its low pH…if you add a tsp of lemon juice or vinegar to any meal you can lower the glycemic index by about 1/3). Another interesting tip is if you let cooked rice cool it becomes more resistant to digestion so eating sushi is better than eating hot cooked white rice. I would love to see a breakdown of digestible carbs into % amylose and % amylopectin down the road on food products. Also, there are ongoing studies in the US to generate genetically modified potatoes (lacking 2 enzymes that are used to put the branched sugars on the glucose polymer to convert it from a linear glucose polymer (amylose) to a branched glucose polymer (amylopectin, which is more easily broken down). Don't know how you feel about genetically modified foods but this could dramatically lower blood glucose spikes after eating potatoes. PP: Why is it that so much mainstream dietary advice for cancer patients seems so unhealthy? Why are patients still being encouraged to have high calorie diets? GK: This drives me crazy as well. The main concern of cancer clinicians today is cachexia (wasting). I understand this is something you want to avoid but I think that lowering our carb and raising our protein intake will have a substantial benefit, especially for early pre-metastatic cancers. In keeping with this I would like to see clinicians substitute amino acid/PBS intravenous drips for the currently used 5% dextrose (glucose) PBS to rehydrate cancer patients. PP: What's the next phase of work that follows on from this paper? GK: We are currently carrying out long term survival studies with male mice genetically predisposed to prostate cancer. In these studies we are comparing a Western diet with and without metformin (a blood glucose lowering drug currently used to treat diabetics) or Celebrex (the Cox 2 inhibitor we showed had an additive effect in slowing tumour growth with our low carb, high protein diets in our paper) with our 15% carb diets as well as a more moderate 25% carb diet (to see if a diet that would be easier for humans to follow will still be beneficial). PP: Are there plans to follow on with human trials at some point soon? GK: In these studies that are currently underway we are also testing the different regimens mentioned in question#3 (all diets with or without metformin and Celebrex) with NORMAL mice. If these diets show no deleterious effects on these normal mice over their lifetime we will embark on clinical trials with early stage prostate and breast cancer patients. PP: I would imagine that this is a strategy that makes more sense in patients without very advanced disease. Is this correct? GK: Yes. Once the tumours are very large and especially if they have already metastasized, they are like runaway trains and very hard to stop with diet changes alone. 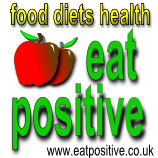 However, converting to a low carb diet might help in combination with chemo or radiotherapy. PP: Do you have a view on how best to combine dietary changes such as this one with concurrent therapies, including chemotherapy? GK: Since it is known that chemo or radiotherapy kills dividing cells some clinicians here at the BC Cancer Agency thought that it might actually be beneficial to give patients a high carb meal just before treatment to get as many cancer cells into cycle as possible. However, this proved disappointing, likely because the elevated glucose also provided these cancer cells with more nutrition to resist the effects of the chemo. Nonetheless, it might be worthwhile to not eat a low carb meal just prior to chemo or radio but go low carb during the recovery phase. PP: Is it possible to judge how much difference this diet makes to immune markers? The high-protein part of the diet is said to be immuno-stimulating - is it possible to expand on this in terms of your results. GK: Certain amino acids, like arginine and tryptophan, have been shown to become limiting during killer T cell proliferation/activation and high protein diets should prevent this from happening. However, we did not specifically test for this. PP: Is there anything else you would like to add? Is there a good question you feel ought to be asked and that I've missed? GK: To keep the variables in our study to a minimum we kept the fat levels essentially the same in all the diets and just varied the carbs and protein. As well, in all our studies we used the same protein source, casein, which is the major protein in milk. Related to this, I do not think there is any intrinsic difference between animal and plant proteins (although some plant proteins may be low in certain amino acids and so a variety should be eaten to compensate for this). Epidemiological studies showing people who eat more plant protein have lower incidences of cancer likely have more to do with the fact that most animal protein is high in saturated fats (because we feed our cows grains rather than grass to promote their quick growth) while plant protein is associated with high levels of fibre. Related to the issue of fats, we are in the process of comparing fats with different omega 6/3 ratios since there is some evidence that omega 3 fatty acids (high in fatty fish like salmon and in flaxseeds) are anti-inflammatory and thus may reduce chronic inflammation (which promotes cancer) while omega 6 fatty acids (high in most vegetable oils) are pro-inflammatory.